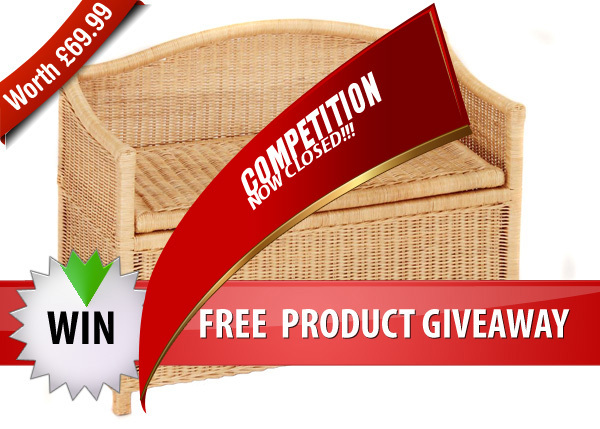 Conservatory Furniture Blog: Children's Toy Box Bench Giveaway! You are here: Home > Conservatory Furniture Blog: Children's Toy Box Bench Giveaway! UPDATE - the Competition is now closed so please don't enter! And the winner is.... Jocelyn Crispin from Camberely! Better luck next time to all those who entered, remember we're starting our next competition early next week so stay tuned! To celebrate the launch of our Facebook and Twitter pages, Conservatory Furniture are giving away a Children's Toy Box Bench from the Children's Poppy furniture range. Liking our page will enable you to stay up to date with the latest news from Conservatory Furniture and also give you a chance of winning top quality conservatory furniture and furniture accessories. Last week we announced that the Rustic Furniture Range would be discounted by 25%, but also remember that many other ranges of furniture are also on special offer: View our fantastic selection of modern and traditional conservatory furniture. We will endeavour to deliver the Children's Poppy Toy Box Bench to an agreed standard UK mainland address as arranged in advance with the winner.